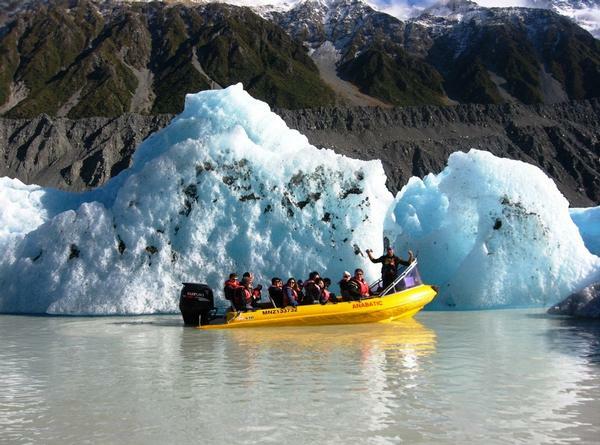 An estimated five million ton iceberg ‘calving’ at Tasman Glacier Terminal Lake yesterday (April 30) has ensured sensational viewing for visitors for the rest of the season. 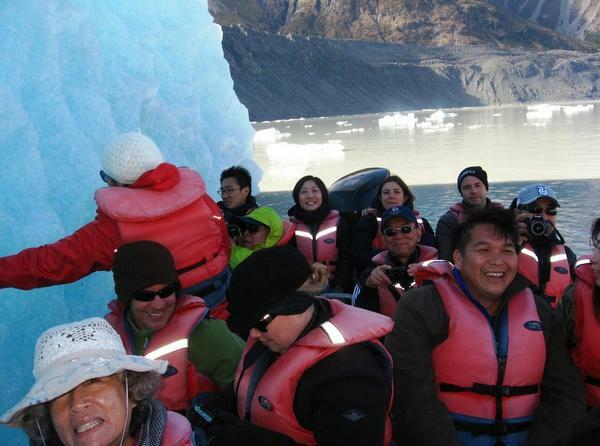 Guests on board the Glacier Explorers Mac Boats* - which take passengers out on the lake to the glacier face to view towering ice cliffs and huge floating icebergs - were “in for a treat” according to Operations Manager Bede Ward. “Yesterday’s calving was a result of an extensive period of dry weather followed by a deluge of rain,” said Mr Ward. 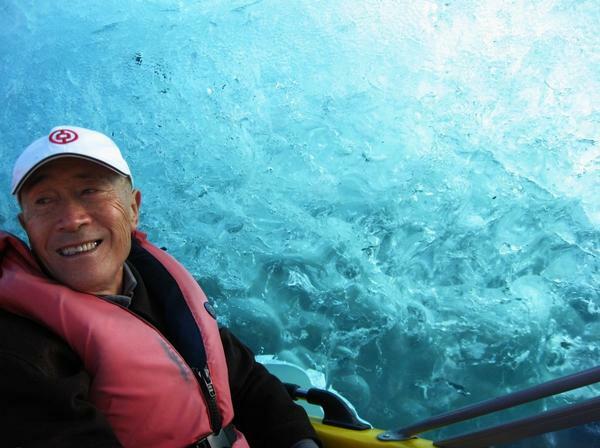 “It’s delivered a whole lot of sensational new ice that will provide an extraordinary view of nature in action until the end of the season. We’ve been out on the lake today with guests to view it, and it’s simply spectacular. 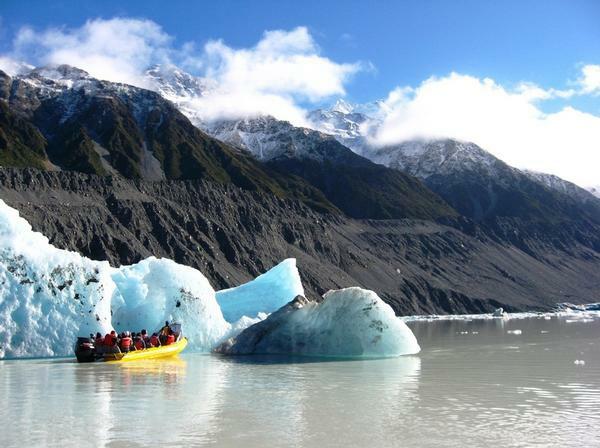 Glacier Explorers offers the only tour of its kind in New Zealand at Aoraki Mount Cook National Park and is just one of three of its kind in the world. Mr Ward said the tour was becoming increasingly popular, with more than 24,000 visitors hosted this season. 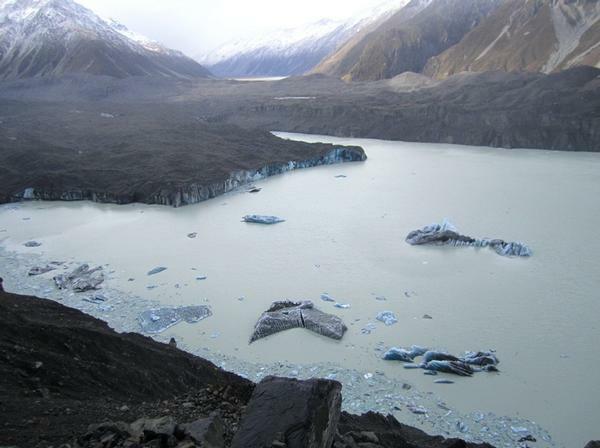 The Glacier Explorers team anticipates the season will draw to a close in early June, when the Tasman Lake starts to freeze over.